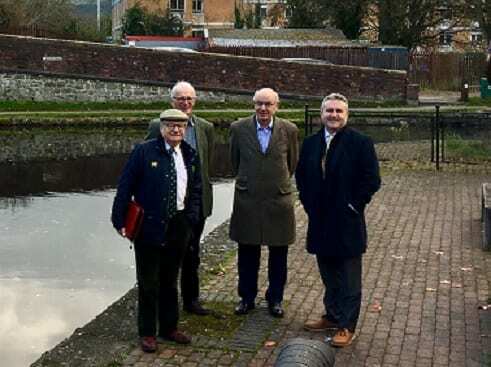 THE Minister for Culture, Tourism and Sport, Lord Elis-Thomas, has visited the Montgomery Canal in Welshpool to learn how Wales’ former industrial waterways can play a vital role in improving the health and wellbeing of hundreds of thousands of people. Accompanied by local Assembly Member and chairman of the Economy, Infrastructure and Skills Committee Russel George, he met with officials from Glandŵr Cymru – the Canal & River Trust in Wales – to find out how the charity is working to help improve the health, happiness and wellbeing of those living in waterside communities. The visit was also an opportunity for the Minister to get an update from the Montgomery Canal Partnership on the Heritage Lottery Funded £4 million project to reopen a further two miles of the Canal, from Maesbury to Crickheath in Shropshire. The project also involves the creation of a new three-hectare wildlife habitat within Aston Locks Nature Reserve, upgrade of nearly five miles of towpath and a comprehensive programme of community events and activities. 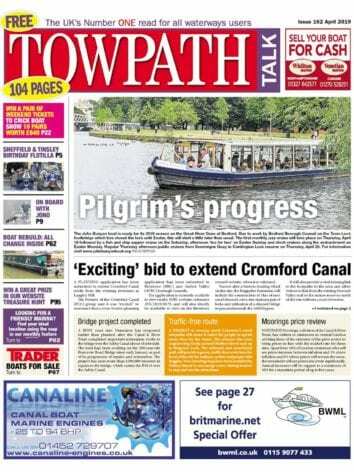 The project will mean that, once finished, half of the canal’s 35 miles will have been restored. For more information about the work of Glandŵr Cymru including how you can volunteer or donate visit canalrivertrust.org.uk.